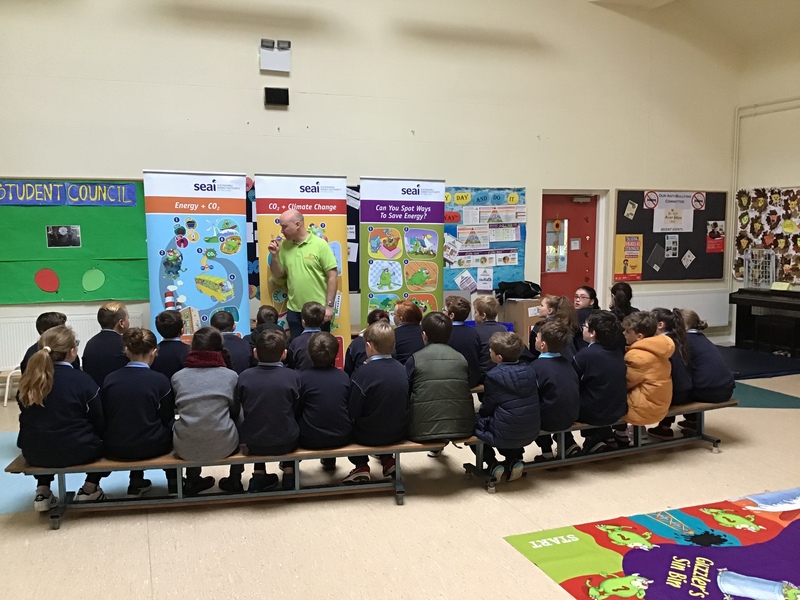 Biz World promotes entrepreneurial skills in primary school students across Ireland and this week we welcomed past pupil Stephen O Carroll to our classroom. 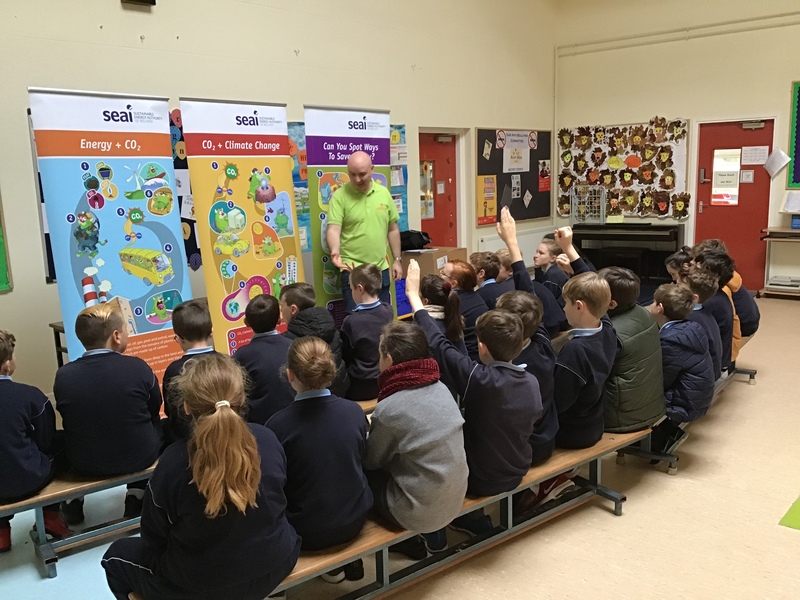 Stephen works on behalf of Bank of Ireland assisting schools with their very own business start ups. 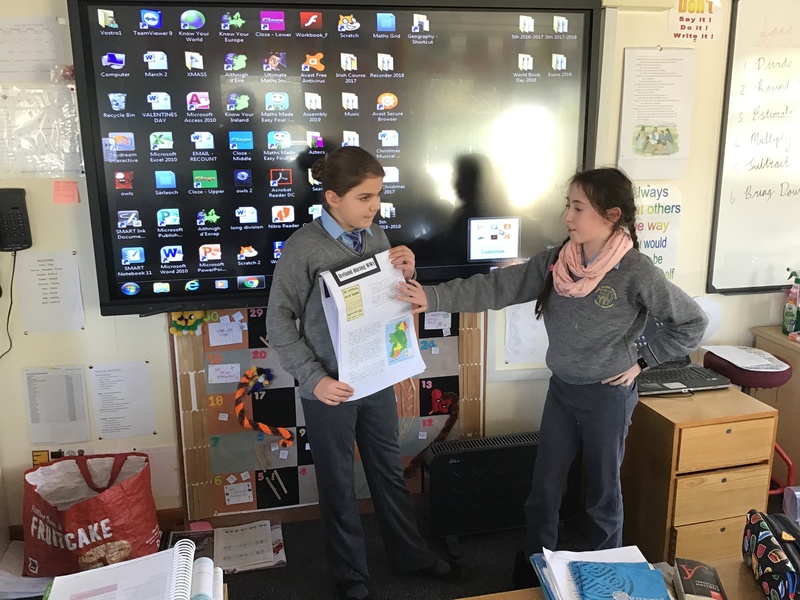 We came up with ideas like personalized ‘Care Watches’ for the elderly, custom made soap for children, cooking apps for children, interactive food menus for restaurants and alternatives to sticky tape. 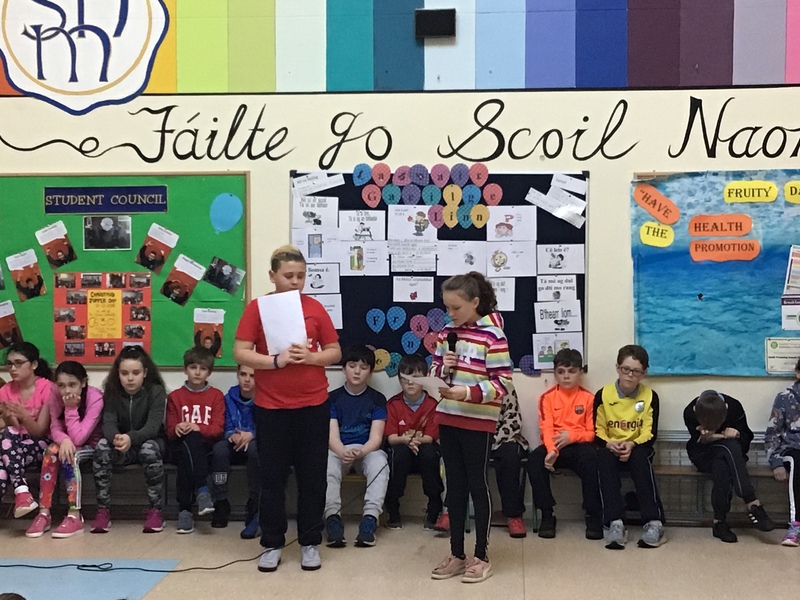 Some of us even decided to create businesses which aimed at tackling the issue of pollution. Stephen has been fantastic and we have really enjoyed the Biz World experience. 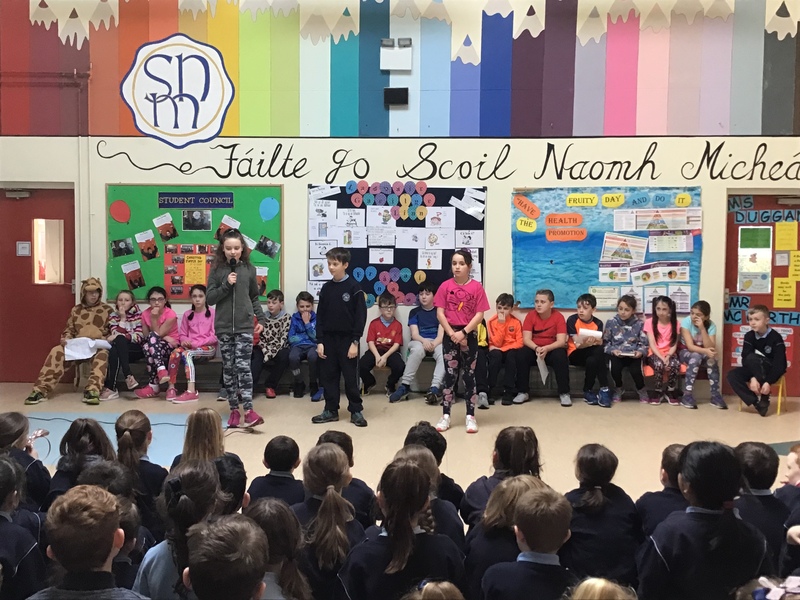 We even got to present our ideas to our very own homegrown superstar Rob Heffernan in the form of a Dragons Den interview. 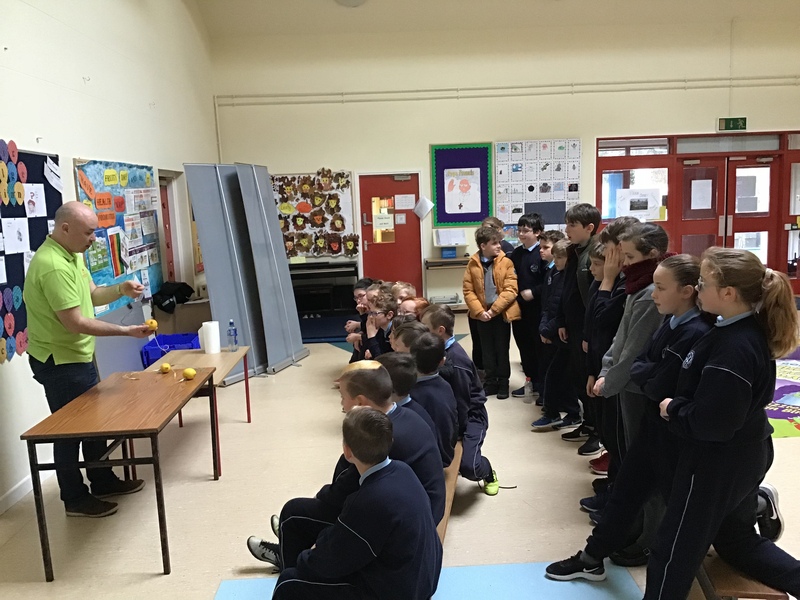 This week we had the opportunity to meet Fergal from Life Time Labs. 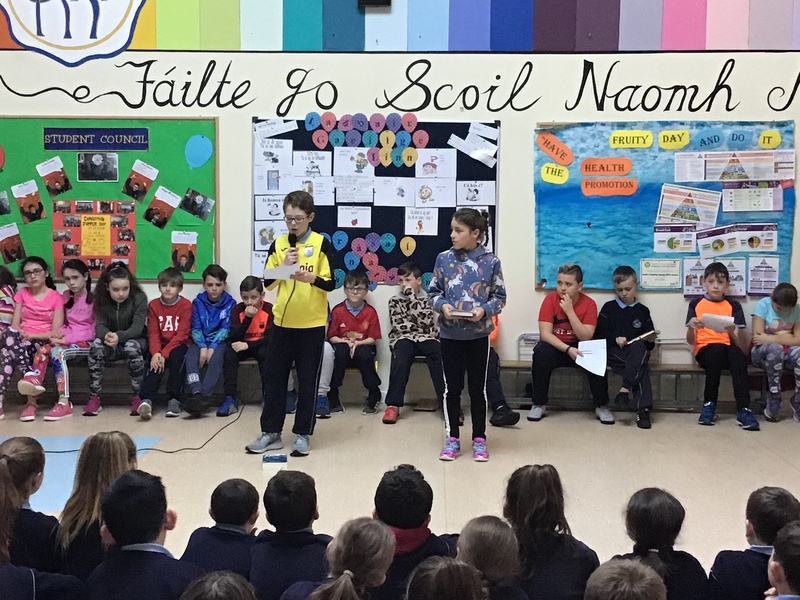 Fergal spoke to us about how we can save energy at home and at school. We learned about fossil fuels and the effects of climate change on our world. 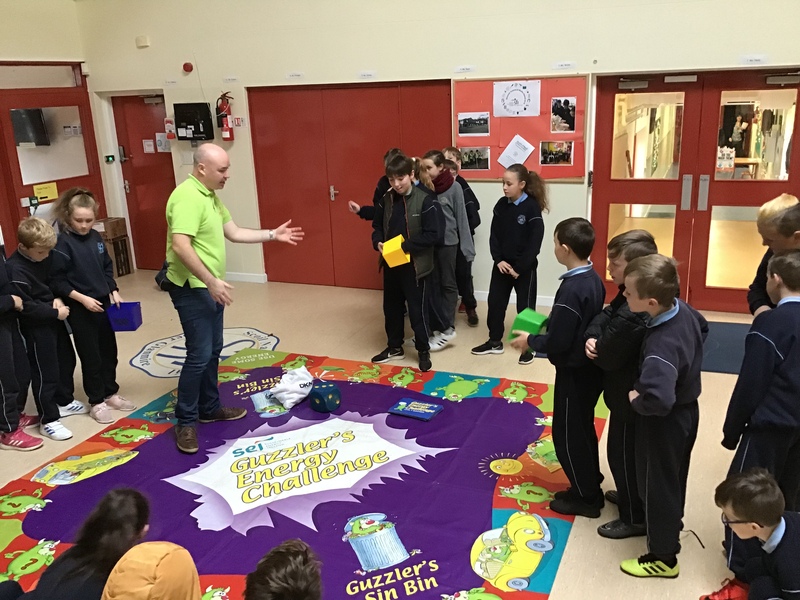 We even got the chance to practice some experiments and play a life size energy board game! “Today we had a worker from the Lifetime lab come to our school. 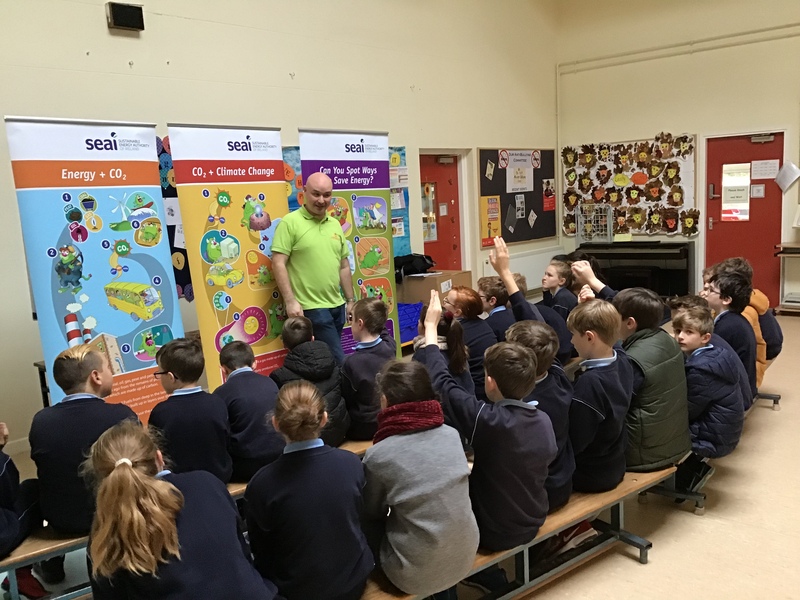 We had a talk about how you can save electricity .There are a lots of different ways, like turning off the lights when you leave the room, hanging the washing on the line and turning off your TV box .We also did cool experiments. We created energy by using 3 lemons with copper and zinc stuck into them. We also played a fun board game. I was on team blue with Aisling ,Aoife, Kate, Shane,Lucy and Sean. The experience was great fun I would love to do it again”. 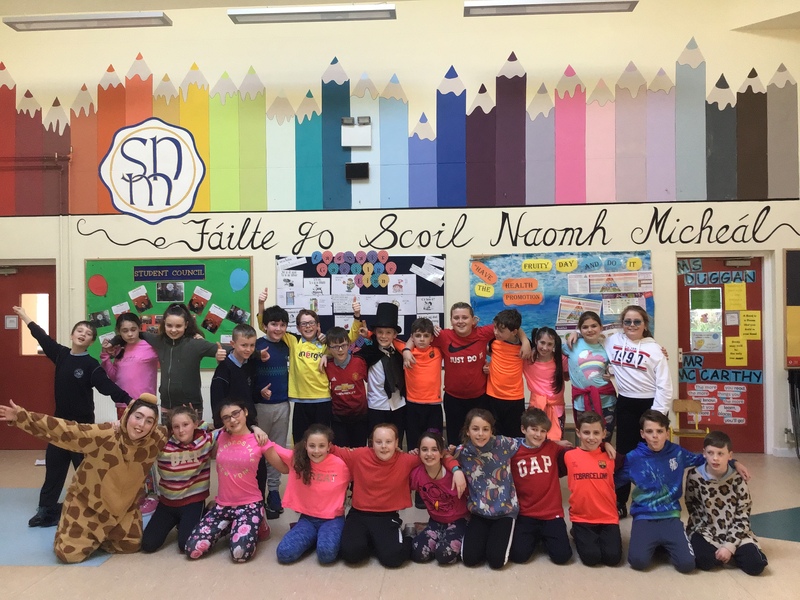 Congratulations to Kate and Niamh who raised 200 euro for the CSPCA. 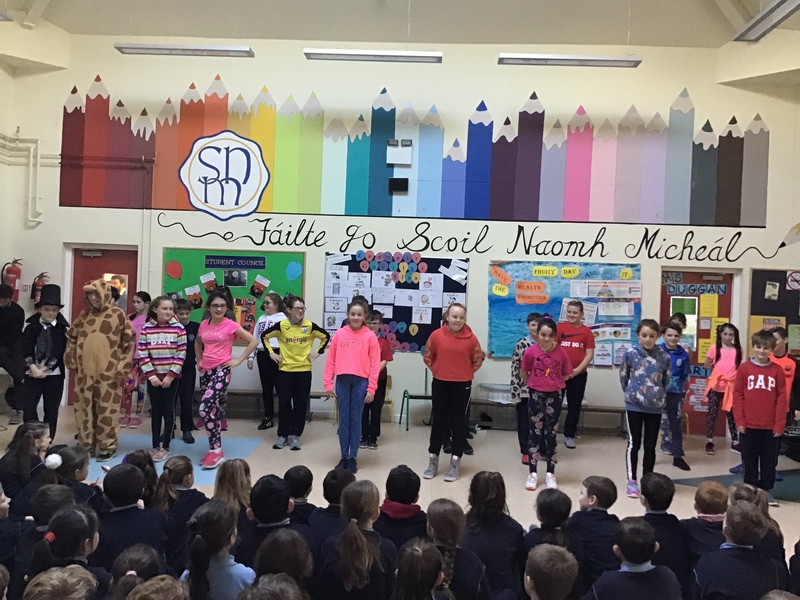 The girls organised a raffle and sold tickets to raise the money. They provided prizes for the winners, which they bought out of their own pocket money. In a season of giving, I think these girls led by example and I’m sure they made lots of friends at the CSPCA. We are all super proud on the girls! 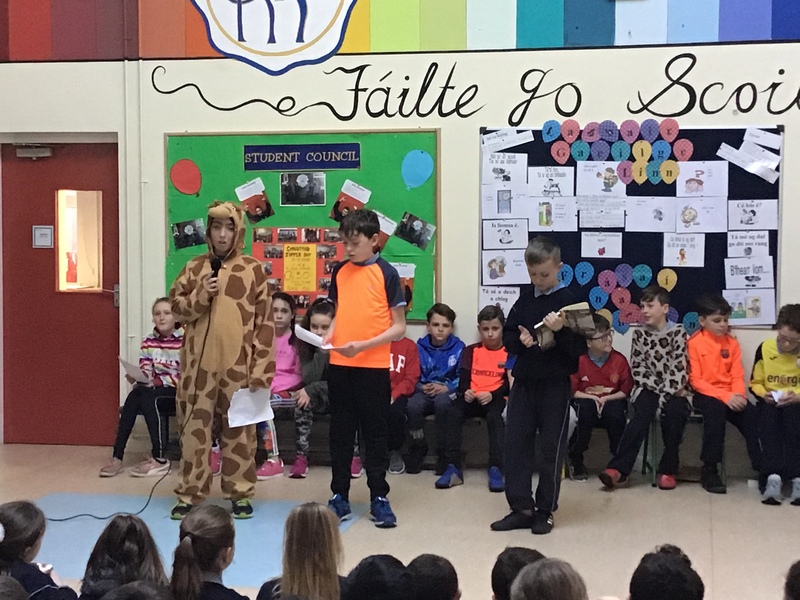 Check out our recent assembly. 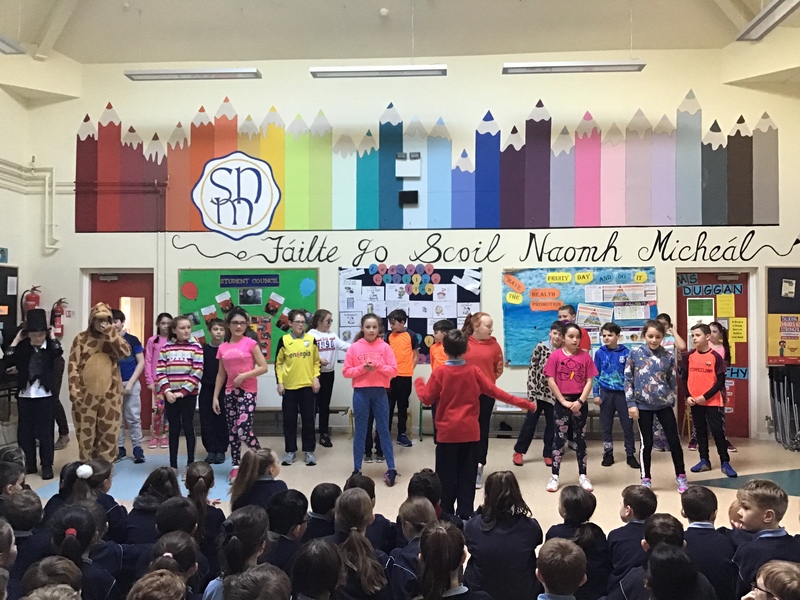 We performed for staff and students throughout the afternoon on Friday. 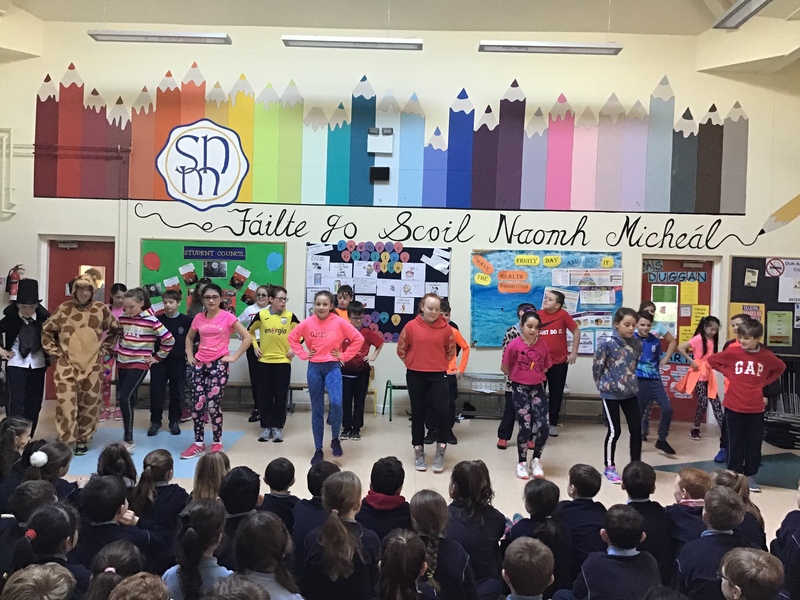 Dance, Music, History and Gaeilge were all tied together in a twenty minute performance. Be sure to check out the snapshots and videos below. 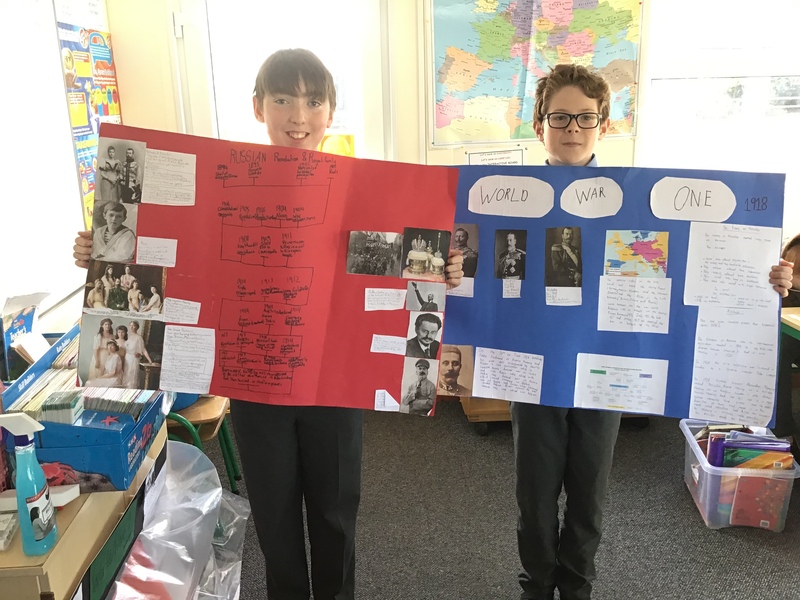 Be sure to check out our WWI projects which we have been working on throughout January. 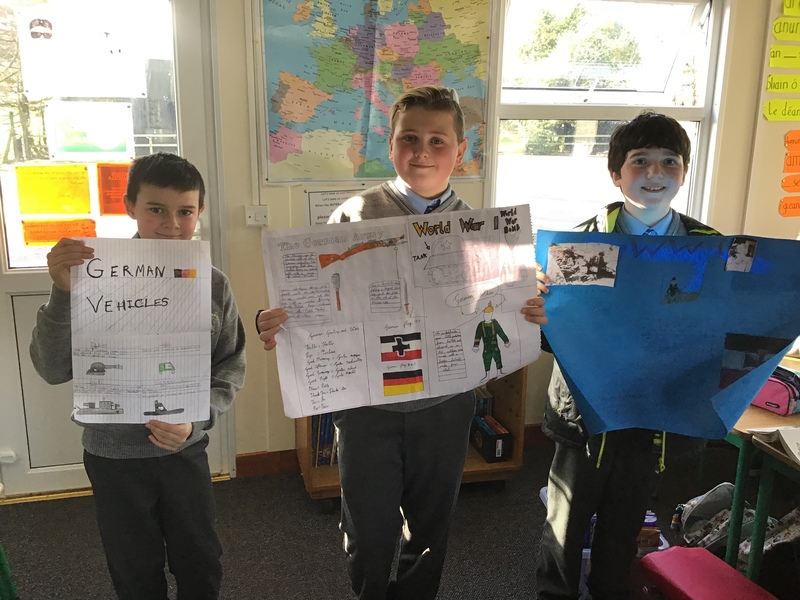 We worked in groups and individually to create our projects which covered many aspects of the The Great War. 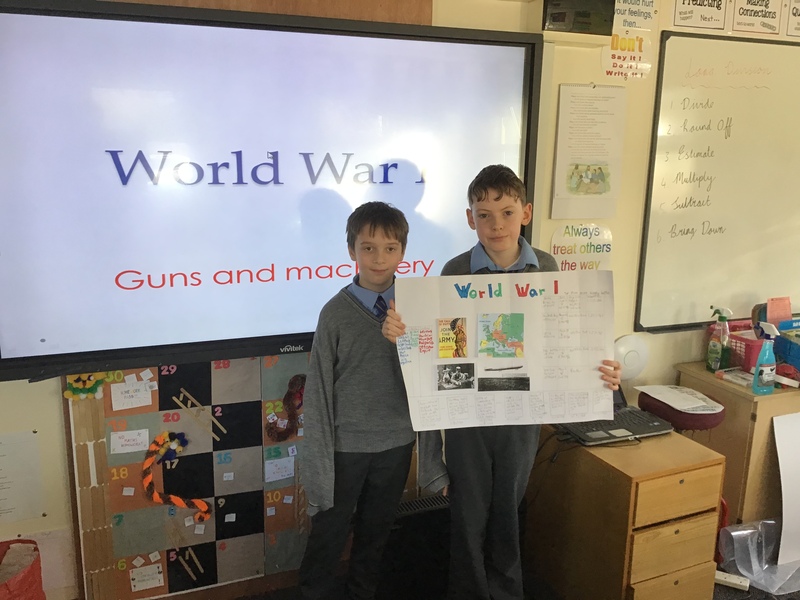 From countries involvement to life in the trenches to weapon development, you name it, we covered it😀 Groups even created PowerPoint presentations which we presented to the class. 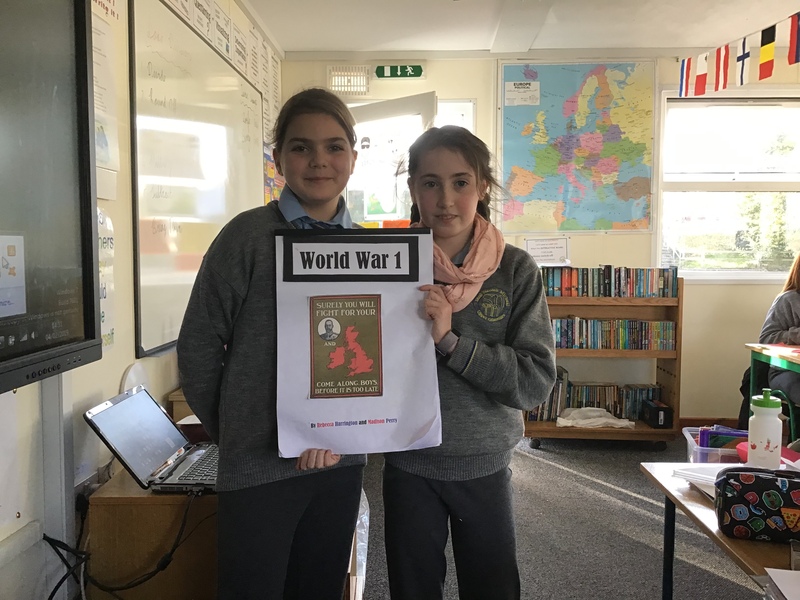 Huge thanks to Aisling for sharing her family connection to WWI with the class and the school.